Scott Blum is the bestselling author of the Hay House book “Waiting for Autumn” and co-founder of DailyOM, a popular, spiritually based website that offers inspirational messages, horoscopes and resources for living a well-considered life. On Monday Scott will change the way you look at “chance” meetings and coincidences forever. With over 900,000 subscribers DailyOM has become the premier on-line destination for providing motivational content, products and courses around the globe from some of today’s best-selling authors and luminaries. As a pioneer in the interactive Internet entertainment industry, Scott’s career began as a software developer. By the time he was 18 he was providing software for the Commodore 64. He then went on to work for Capcom in Japan as one of the first American Nintendo programmers. Blum also worked for Sega and Taito and created over 15 video games for the Nintendo and Sega game machines, some of which have sold millions of copies. Scott was hired to work at Starwave by Paul Allen, co-founder of Microsoft. While there, he produced Peter Gabriel’s critically acclaimed “Eve” CD-ROM, which was the recipient of the prestigious Milia d’Or award for excellence in CD-ROM production. 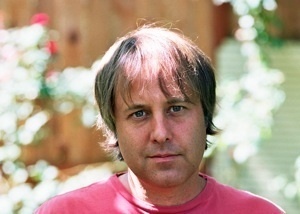 Scott then founded and was president of iMusic in 1995, which was the original pioneer of netcasting and one of the first sites to bridge the legitimate music industry with the Internet. Scott worked with such bands as Soundgarden, Alice in Chains, Smashing Pumpkins, No Doubt, and Ben Harper. It was the largest music community on the Internet, paving the way for other online communities like MySpace. In 1999, he sold iMusic to music industry insider ARTISTdirect, which in turn sold iMusic to Apple. Scott spent five years at ARTISTdirect, acting as VP of Research and Development and leading product development for their advanced technology and digital music initiatives. In 2004 Scott and his wife Madisyn Taylor founded DailyOM (www.dailyom.com) after wanting to merge their personal interests in spirituality with their professional lives. DailyOM has since become one of the premiere on-line destinations for non-denominational inspirational content, products and courses from some of today’s best-selling authors and luminaries. Scott’s personal interest in metaphysics and spirituality has been an ongoing pursuit since an early age. Decidedly non-traditional, he has found himself in remarkably unique and profound metaphysical situations that he has begun to share in his series of books. Scott continues to write for this series of spiritual adventures which begins with Summer’s Path (currently available on-line as a free download), Waiting for Autumn (hardcover, Spring 2009), both published by Hay House. Additional books in the series are in the works. Scott lives in the mountains of Ashland, Oregon with Madisyn Taylor (author of the DailyOM book), his wife, business partner and soul mate.